1. On a Great Battlefield: The Making, Management, and Memory of Gettysburg National Military Park, 1933 - 2012 by Jennifer M. Murray (Univ of Tenn Pr, 2014). From the publisher: "Jennifer M. Murray provides a critical perspective to Gettysburg historiography by offering an in-depth exploration of the national military park and how the Gettysburg battlefield has evolved since the National Park Service acquired the site in August 1933. As Murray reveals, the history of the Gettysburg battlefield underscores the complexity of preserving and interpreting a historic landscape. After a short overview of early efforts to preserve the battlefield by the Gettysburg Battlefield Memorial Association (1864-1895) and the United States War Department (1895-1933), Murray chronicles the administration of the National Park Service and the multitude of external factors--including the Great Depression, the New Deal, World War II, the Civil War Centennial, and recent sesquicentennial celebrations--that influenced operations and molded Americans' understanding of the battle and its history." 2. Rebels in the Rockies: Confederate Irregulars in the Western Territories by Walter Earl Pittman (McFarland, 2014). It was clear in his earlier overview history of the Sibley Campaign that Pittman was interested in the role played by pro-Confederate scouts and irregulars in the Far West. This new book places the focus squarely on those forces, as well as the unsuccessful subversion campaigns employed by sympathizers in Arizona, California, Colorado, Idaho, Nevada, and New Mexico. Special attention appears to be paid to the scout company of "Brigands." 3. 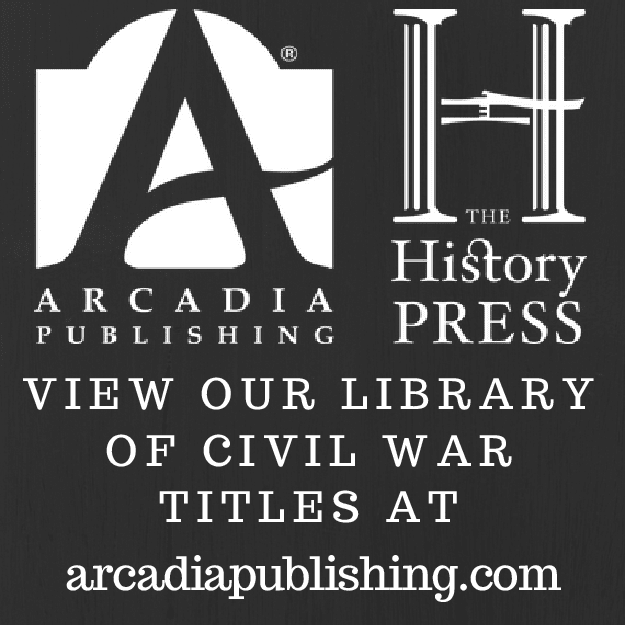 The Battle of Allatoona Pass: Civil War Skirmish in Bartow County, Georgia by Brad Butkovich (The Hist Pr, 2014). This is a detailed microhistory of the battle. If the maps are the main reason you're holding on to your copy of Scaife's book on the same subject, you'll like these, too. Soike: "BUSY IN THE CAUSE: Iowa, the Free-State Struggle in the West, and the Prelude to the Civil War"
Author Lowell Soike is probably correct in his assertion that the involvement of other states in the Kansas Troubles of the 1850s has been neglected in the literature of the Civil War era. His new book Busy in the Cause: Iowa, the Free-State Struggle in the West, and the Prelude to the Civil War seeks to redress this deficiency by examining the contributions of the Hawkeye State to the bitter conflict more famously prosecuted by those from Missouri and Kansas Territory. While the book's characterization of the free soil conflict in Kansas and western Missouri is not entirely one of heroes versus villains, better rounded background accounts of the Bleeding Kansas era exist, among the best Nicole Etcheson's Bleeding Kansas: Contested Liberty in the Civil War Era (2004). That said, Busy in the Cause is full of fascinating insights and specifics. As an example, commercial interests in St. Louis and other points along the Missouri River profited greatly from the transit of settlers, and when proslavery forces blockaded and harassed Free-Staters to the point of their seeking new routes outside the state the lost business turned many Missourians against the more radical slavery proponents. With much of the literature focusing on aid societies fostering the creation of a free state Kansas, Soike also points out that greater numbers of northern emigrants relocated to Iowa and even western Missouri than settled in Kansas during the 1850s period under consideration, the territory's violence and lawlessness undoubtedly making the new lands less appealing to many citizens. Figures like that serve as useful reminders that Kansas, though seizing all the headlines at the time, was just part of a broader struggle for the future of the West. In addition to profiling many Iowans who supported the antislavery movement in Kansas, men like John A. Wakefield, Dr. Ira Blanchard and Rev. Pardee Butler, the book does a fine job of tracing the development of emigrant trails through the state, the northern alternative route that grew out of the increasing danger and uncertainty surrounding Missouri's faster and cheaper water based transportation network. Soike's narrative relates the experiences of several groups using the Iowa trail and explains how communities and evangelical religious groups assisted them along the way. The town of Tabor became an important antislavery outpost. Iowa's newly realigned political machinery also proved helpful, the fallout from the Kansas-Nebraska Act having broken the stranglehold over state government that Conservative Democrats previously enjoyed. According to the author, the governor even transferred two thousand muskets from the state arsenal into the hands of free state emigrants, a shockingly illegal action that was never fully investigated. Soike also discusses at some length the assistance Iowans rendered to runaway Kansas and Missouri slaves, the newly developed emigrant trail in some ways converted to a series of Underground Railroad stations. Several episodes are detailed, including revelations about how well armed many escaping slaves were, with the author crediting their success as having at least some effect toward weakening the institution of slavery in Missouri [Soike cites the 1859 Jackson County assessors' figure of a 17% drop in slave numbers during that year alone, mostly due to fearful owners selling their human property "down south"]. A large proportion of the study is devoted to the activities of John Brown and his followers. While Soike does place a certain amount of appropriate focus on Brown's Iowa connections (ex. recruiting Iowans to his guerrilla band, using Tabor as a secure base, and building local alliances in sympathetic communities like Grinnell), he perhaps strays a bit too much from the Iowa-centric theme by exploring Brown's Kansas and Missouri operations in such detail. While the work is fine and documenting these events is important, page space could perhaps have been more profitably reserved for topics more specific to Iowa. For instance, while Soike does mention in passing the opposition opinions of several Democratic newspapers and the lukewarm attitudes some communities held toward the most radical antislavery forces, the full spectrum of Iowa political views and party politics in relationship to the most critical years of the free state struggle is distinctly lacking. Relatively minor complaints aside, Busy in the Cause is a unique and important contribution to Iowa history and to the literature of the 1850s Free Soil movement in the unsettled West. If someone would create a similarly themed volume for Nebraska Territory (perhaps a companion piece to James Potter's fine Civil War history), the northern border context of the Kansas-Missouri conflict would finally have the kind of coverage it deserves. 1. The Bluffton Expedition: The Burning of Bluffton, South Carolina, During the Civil War by Jeff Fulgham (Lulu, 2013). You know it's a slow release season when I can finish a book before it even gets listed in the latest Booknotes. Books about Civil War South Carolina seacoast operations remain startlingly rare, so books like this tempt me to take a chance with a self-published manuscript by an unknown author. It's a better than average effort in that regard, but with extra large print and lots of background material it feels more like a long article padded out. If you're interested in the constant amphibious raiding that occurred in and around the sea islands and inland waterways between Savannah and Charleston [Civil War Bluffton sat atop a piece of high ground overlooking the May River a short distance west of Hilton Head Island], it might be worth it to you to check it out. 2. A Lincoln Dialogue by James A. Rawley, edited by William G. Thomas (Univ of Neb Pr, 2014). "The final project of James A. Rawley, a preeminent historian of the Civil War era, A Lincoln Dialogue cross-examines Lincoln’s major statements, papers, and initiatives in light of the comments and criticism of his supporters and detractors. 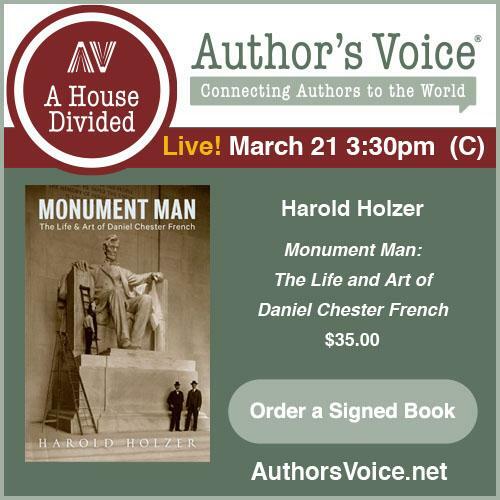 Drawn from letters and newspapers, pamphlets and reports, these statements and responses constitute a unique documentary examination of Abraham Lincoln’s presidency." 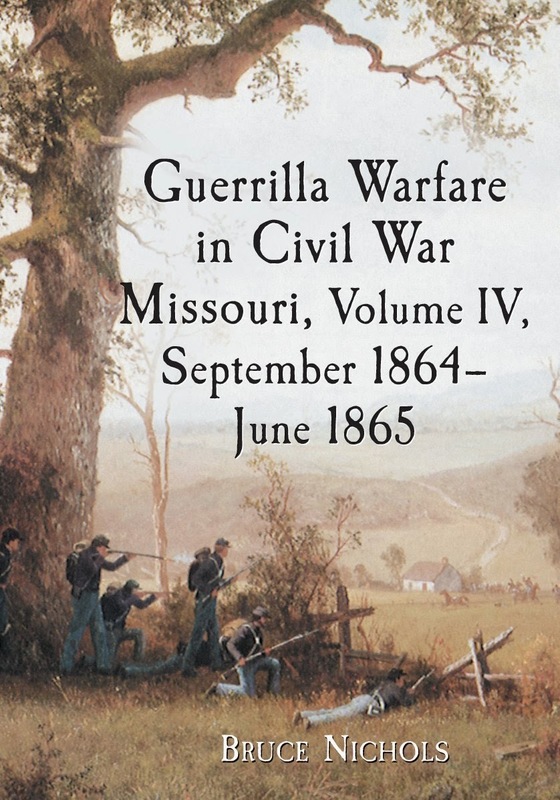 Erwin: "THE HOMEFRONT IN CIVIL WAR MISSOURI"
Meritable Missouri Civil War titles operating outside the dominant guerrilla conflict theme are always welcome. Of course, James Erwin's The Homefront in Civil War Missouri touches freely upon the subject, given the inextricable links, but the main thrust is directed elsewhere, at how civilians both impacted and were impacted by the war. Why Missouri was such a prize coveted by both sides is clear from the first chapter, which discusses the state's rapid population, infrastructure, and economic expansion during the decades preceding the war. Other early chapters summarize how politicians and military commanders handled (and mishandled) issues surrounding the upholding of cherished civil freedoms and the management of the institution of slavery during mass insurrection without alienating the large pro-Union segment of the population. The importance of St. Louis as military base and center of gunboat construction is also discussed. Succeeding sections relate the personal experiences of citizens during the pivotal year of 1862 (when guerrillas and their counterguerrilla opponents first began to range far and wide, with often tragic consequences for local civilians), attempts by Union military authorities to curtail religious expression, how women and children both participated in and were victimized by the war, and the growth of the refugee crisis during the middle years. Erwin also traces the formation and expansion of the Western Sanitary Commission from its Missouri origins, as the well funded organization assumed a great deal of responsibility for serving wounded and sick soldiers as well as supporting freedmen, orphans, and other refugee concerns. Emancipation, the raising of black troops in the state, and the new state constitution are covered in the final chapter. The author is certainly correct that entire volumes could easily be devoted to the substance of each chapter. While the range of topics addressed in Homefront is not exhaustive, Erwin has the most important bases covered. Hints of the type of graphic home violence so frighteningly displayed within works like Michael Fellman's classic Inside War are present, but the book, perhaps in polite consideration of a more general target audience, might be a bit too understated in conveying the sheer terror of what it was like to be a civilian man, woman, or child residing in those counties (and there were many) most directly affected by the guerrilla conflict. The Homefront in Civil War Missouri possesses most of the characteristics of popular narrative history, including an emphasis on personalized storytelling. There's no body of original archival research, the bibliography instead populated with well known published sources. Source notes are absent but those familiar with the literature will recognize an able synthesis. In terms of the readership that will benefit the most from Erwin's study, those deeply engaged with the relevant scholarship will find no surprises but the uninitiated will be treated to a well crafted and sufficiently comprehensive introduction to Missouri's bewilderingly complicated Civil War homefront. Using the self-publishing service CreateSpace, various U.S. military institutions like the U.S. Army Command and General Staff College, Naval War College and others have embarked on something of a printing spree of late. Some, like those from the CGSC, used to be available as free downloads and maybe still are. One that caught my attention in particular is Jeffery Price's MA thesis A Courage and Desperation Rarely Equaled: The 36th Arkansas Infantry Regiment (Confederate States Army) . As far as I know, no regimental history of that unit has been published before. 1. Music Along the Rapidan: Civil War Soldiers, Music, and Community during Winter Quarters, Virginia by James A. Davis (Univ of Neb Press, 2014). "In Music Along the Rapidan James A. Davis examines the role of music in defining the social communities that emerged during this winter encampment [1863-64]. Music was an essential part of each soldier’s personal identity, and Davis considers how music became a means of controlling the acoustic and social cacophony of war that surrounded every soldier nearby. Music also became a touchstone for colliding communities during the encampment—the communities of enlisted men and officers or Northerners and Southerners on the one hand and the shared communities occupied by both soldier and civilian on the other. The music enabled them to define their relationships and their environment, emotionally, socially, and audibly." 2. 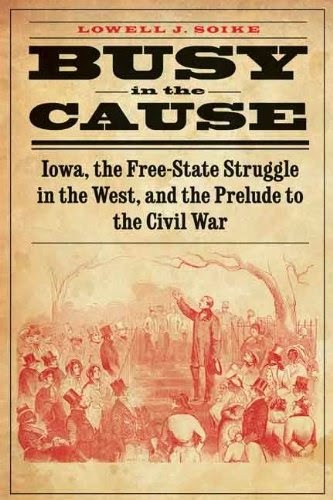 Busy in the Cause: Iowa, the Free-State Struggle in the West, and the Prelude to the Civil War by Lowell J. Soike (Univ of Neb Press, 2014). Another new Nebraska title, Soike's book explores the underappreciated role Iowa and Iowans played in the Kansas troubles of the 1850s in arenas like national politics, aiding abolitionist emigrants, and helping runaway slaves. Nichols: "GUERRILLA WARFARE IN CIVIL WAR MISSOURI, VOLUME IV, September 1864 - June 1865"
With the publication of Guerrilla Warfare in Civil War Missouri, Volume IV, September 1864 - June 1865 Bruce Nichols completes his quadrilogy, a remarkable feat of research that attempts to catalog all known incidents of irregular conflict in the state between 1862 and 1865. For those unfamiliar with the format, the author organizes the material into geographical quadrants and seasons, with a chapter for each. Within those are two additional subheading levels that further break down the action into more specific time periods that note event locations as well as individuals and units involved. A good index aids specific inquiries, but the consistent compartmentalized structure of the body of the work significantly enhances the browsing reference value of the series. The text itself consists of highly detailed accounts of guerrilla activities, behind-the-lines Confederate recruiting drives, counterguerrilla operations, and atrocities committed by both sides against the civilian population. In anticipation of Confederate general Sterling Price's invasion of Missouri, the scale and pace of guerrilla warfare and regular recruitment activities in the state perked up substantially during 1864. Volume IV exhaustively covers the many actions launched both in support and independent of the Price Raid. In the wake of the catastrophic failure of that Confederate cavalry operation, readers may be surprised at how openly belligerent many guerrilla bands remained during the winter of 1864-65 and the following spring. In addition to providing information about bushwhacker chieftains and bands that even many grizzled veterans of the literature will not have previously read about, the study traces the battle and depredation histories of William T. "Bloody Bill" Anderson's command (as well as its many offshoots) at unprecedented levels of detail. 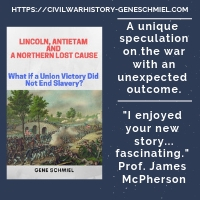 The book also follows the eventual winding down of the conflict, as remaining diehards either left the state, were killed, or surrendered, though isolated violence continued into June 1865 and beyond. As with the other works in the quartet, the nature of the content of Volume IV is overwhelmingly descriptive, with scattered bits of analysis throughout. Ordered to protect commissioned Confederate recruitment officers, wreck transportation infrastructure, and tie down opposing Union army and Missouri militia units, it remains unclear whether the guerrillas helped or hindered the Confederate cause in the state. In terms of direct assistance, there is some evidence that guerrillas performed scouting duties and fought in a limited fashion alongside regular Confederates. On the other hand, federal forces seemed to experience few hindrances on their way to rapidly concentrating against and nearly destroying Price while, on the Missouri home front, previously sympathetic civilians were becoming increasingly horrified by the actions of their presumed champions. During and after the raid, already shaky discriminatory barriers between the treatment of captured guerrillas and regular Confederate officers and men broke down even further, with bushwhacker killings of Union prisoners leading to the deaths of untold numbers of legitimately surrendered Confederate soldiers from Price's army. The depth of research that went into this more than decade long project is worthy of repeat praise. Nichols scoured legions of previously underused sources for information and faithfully documented his use of them in impressively expansive endnotes. The books in the series are also heavily illustrated. Photographs and drawings of individuals and events are present throughout, and county and regional area maps abound. The afterword to Volume IV briefly examines the postwar lives of many of the actors that readers followed throughout the series, but those looking for any kind of concluding grand analysis or acknowledgement of bigger picture issues like those addressed in recent works by Daniel Sutherland, Clay Mountcastle and others will be disappointed. What we do have with this four volume set is the most complete register of persons and events surrounding the brutal guerrilla war in Missouri that we are ever likely to get. Even with much of the meaning and interpretation left to others, it is a massive achievement of research and documentation, a timelessly important encyclopedic tool for future scholars. In comparison to other historical publishing endeavors, creating reference works can be a bit of a thankless enterprise and one sincerely hopes this is not the case for Bruce Nichols. In a recent WSJ essay, math professor Jordan Ellenberg published a "Most Unread" book list using his informal Hawking Index [aside: how is The Great Gatsby, the paragon of literary readability, on this list?]. The fiction choice that defeats me has to be Cormac McCarthy's Suttree. CM is firmly set among my handful of favorite authors and I've read everything he's published but, after multiple aborted attempts, I just cannot finish Suttree, even though many critics consider it his best work. It got me thinking about the Civil War titles that everyone else tells you are must-reads but you cannot bring yourself to finish or even start. In terms of long term struggle, one title comes to mind, but I can't count it anymore. It took me three tries over many years but I did finally get Richmond Redeemed by Richard Sommers under my belt. I guess the most memorable candidate still in play is David Potter's The Impending Crisis. Every year I tell myself I am going to read it, yet there it remains on the shelf gathering another sedimentary layer of dust. So what is your "Most Unread" Civil War book? A: "The Devil's to Pay"
Given his well known high regard for the Union cavalry general, it's a bit surprising it's taken this long for Eric Wittenberg to fashion "The Devil's to Pay": John Buford at Gettysburg - A History and Walking Tour (Savas Beatie, Fall '14) for us. By leaps and bounds, the first day of Gettysburg has always held the most interest for me and I've always thought the celebration of Buford's skillful delaying action to be a bit over the top, more a byproduct of the premier battle and victory it's associated with rather than a particularly exceptional feat of Civil War tactical generalship [blasphemy!?]. I am really looking forward to this to see if Eric can change my mind on the matter. 1. 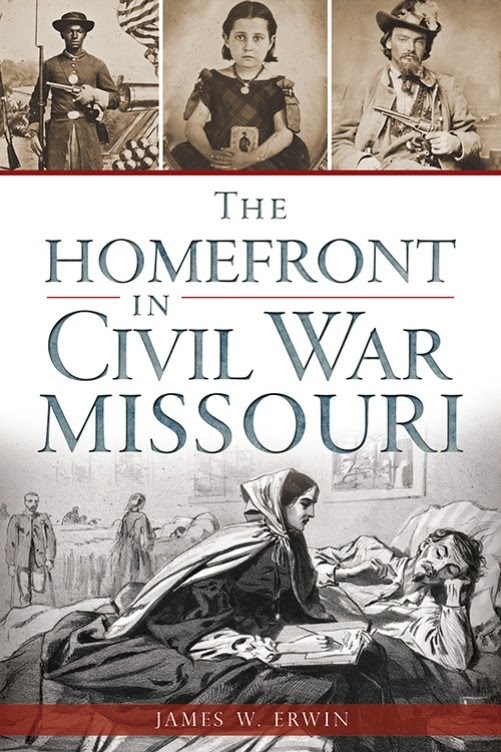 The Homefront in Civil War Missouri by James W. Erwin (The Hist Pr, 2014). Erwin, the author of a previous work dealing with the counterguerrilla campaign in Missouri, here shares a variety of anecdotes related to the civilian experience. 2. South Carolina Fire-Eater: The Life of Laurence Massillon Keitt, 1824-1864 by Holt Merchant (USC Pr, 2014). As James I. Robertson's blurb notes, Keitt was one of the most ideologically pure of the Deep South fire-eaters. Resigning his Confederate congressional seat, he was also willing to match rhetorical violence with actual military service, raising the 20th South Carolina and leading it during the defense of Charleston for most of his service before being struck down at Cold Harbor in 1864. Instead of the usual paint by numbers jacket design, I appreciate the more imaginative and slightly creepy cover art with this one. Hall: "CIVIL WAR BLOCKADE RUNNING ON THE TEXAS COAST"
Over the past fifteen years or so, a small but useful body of literature (among these works by Edward Cotham, Stephen Dupree, and Stephen Townsend) exploring Civil War campaigns fought along the Texas coastline has emerged. 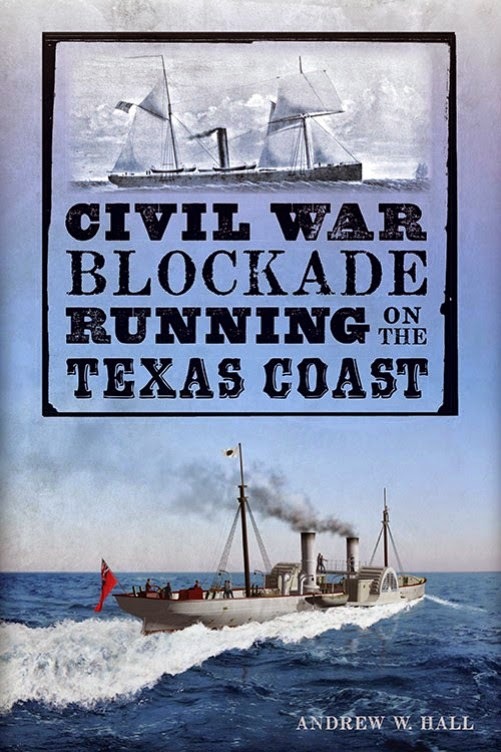 While the title of Andrew Hall's new book Civil War Blockade Running on the Texas Coast may suggest a scope similar to that found in Rodman Underwood's study of the other side of the equation Waters of Discord: The Union Blockade of Texas During the Civil War (2008), it's fairly narrowly focused on the port of Galveston. With Ed Cotham's fine coverage of Galveston's military role with Battle on the Bay (1998) and Jim Schmidt's home front centered Galveston and the Civil War (2012), Hall's book detailing Confederate efforts to import military and civilian supplies through an ever tightening Union naval cordon tells another part of the story. Hall begins with a brief discussion of Galveston's importance as a deep water port with a natural harbor and a rail connection to the Texas interior. Given its potential use to the enemy, it didn't take long before the U.S. Navy arrived on station. Any study of blockade running also has to discuss the land defenses supporting them and Hall traces the efforts by a string of Confederate commanders to keep the port open to runners while at the same time finding a solution to defending the vulnerable island town itself. By war's end, Galveston was the only major Confederate sea port still in operation, so it's activities should not be perceived as a sideshow. In addition to relating tales of Confederate speculators, sea captains, crews, and vessels involved in running the blockade, the author also recounts U.S. naval efforts geared toward intercepting arriving and departing runners as well as closing the port itself. In addition to offering readers an engaging narrative history, Hall exploits his considerable hands-on research and wreck diving experiences on the Denbigh and Will o' the Wisp projects to document the careers of these vessels and relate some of the findings of the marine archaeological excavations. There's some good discussion of the strengths and weaknesses of runner design, too. Civil War Blockade Running on the Texas Coast occupies a place among the better quality titles attached to the publisher's expansive catalog of Civil War subject overviews. Along with the content highlights already noted, it is well stocked with area maps, photographs and other illustrations, including many graphical renderings of the ships mentioned. Though a bibliography is absent, sources used can be traced through Hall's endnotes. 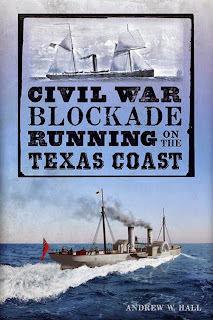 An exhaustive scholarly history of West Gulf Blockading Squadron operations authored by one of the premier Civil War naval historians will be available later this year, but many readers with a particular interest in Galveston's central place in those events will be well satisfied with Hall's popular account. After a lengthy delay, it looks like Gary Joiner's The Red River Campaign: The Union's Final Attempt to Invade Texas should be getting a wide release soon. The website of the publisher (State House/McWhiney Foundation Press) indicates that it's been out since 6/24 but I haven't received confirmation or the requested review copy yet. The page count is higher and price is steeper than the typical Civil War Campaigns and Commanders title so it seems to be something of a special entry in the long running series. Lest anyone remind me, yes, I know we've already absorbed Joiner's 200-page take on the campaign in One Damn Blunder and Through the Howling Wilderness, so I'm not expecting the text to be revelatory. Since no other previous overview study, and there have been many, has offered even an acceptable set of maps, I am hoping that the 20 in this book change that state of affairs. To me that would make the book a keeper all on its own. There are a lot of books with that title, but the one I am keen on is David Ross Zimring's upcoming To Live and Die in Dixie: Native Northerners Who Fought for the Confederacy (UT Press, Dec '14, and yes, don't look at the price). The webpage hasn't been filled in yet, but you can find the full description, excerpted below, in the catalog. To my knowledge, this is the first serious demographical analysis based study of the almost 350,000 native northerners residing in the southern states according to the 1860 census. Focusing on a representative sample of emigrants, Zimring identifies two subgroups: “adoptive southerners,” individuals born and raised in a state above the Mason-Dixon line but who but did not necessarily join the Confederacy after they moved south, and “northern Confederates,” emigrants who sided with the Confederacy during the Civil War. After analyzing statistical data on states of origin, age, education, decade of migration, and, most important, the reasons why these individuals embarked for the South in the first place, Zimring goes on to explore the prewar lives of adoptive southerners, the adaptations they made with regard to slavery, and the factors that influenced their allegiances during the secession crisis. He also analyzes their contributions to the Confederate military and home front, the emergence of their Confederate identities and nationalism, their experiences as prisoners of war in the North, and the reactions they elicited from native southerners. 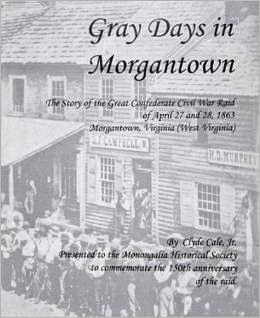 Cale: "GRAY DAYS IN MORGANTOWN: The Story of the Great Confederate Civil War Raid of April 27 and 28, 1863, Morgantown, Virginia (West Virginia)"
Though fairly large in terms of numbers involved, destruction wrought, and miles traversed the Jones-Imboden Raid of 1863 has been far less documented that other mounted operations of similar scope. A recent raid history by Darrell Collins offers readers a fine comprehensive account, but Clay Cale's Gray Days in Morgantown: The Story of the Great Confederate Civil War Raid of April 27 and 28, 1863, Morgantown, Virginia (West Virginia) is a much more intimately focused work, recounting the raid's impact on a single community during two visits on consecutive days by Confederate cavalrymen from William E. "Grumble" Jones's command. At less than 50 pages of narrative, Cale's study is a quick read. The first few chapters offer background information on the raid in general and Morgantown's role (its citizenry including individuals with prominent roles in the formation of the new state of West Virginia) in the war up to that point. In many ways, Cale's description of events is typical of countless small towns in the path of Civil War military operations, their direct experience of enemy armies limited to a single or small number of terrifying days. Beyond a pair of civilian bushwhackers being executed (with another, this one innocent, wounded but able to escape) there was relatively little violence involved. Local home guards/militia offered only token resistance before surrendering the town, and the raiders plundered stores and confiscated cattle and horses. The author deeply researched the raid's impact on a number of local families so the book has significant local history flavor and genealogical value. Gray Days is also well stocked with illustrations. A very extensive gallery of period photographs is present in an appendix, as are two maps charting the course of the Jones-Imboden Raid. A map of the town itself would have been a nice tool, both for general orientation as well as in locating properties and events mentioned in the text. In another appendix, Cale also includes some historical documents reproduced in full: a letter, a memoir, and a pair of prewar and postwar town directories. Cale's well researched account of Morgantown's experience of passing hostile occupation offers a detailed snapshot of what many unsuspecting towns and villages suffered when the Civil War suddenly "came home." Gray Days in Morgantown is not designed to appeal to the general reader but there is significant value in its pages for students of the raid and for present day Morgantown's local history enthusiasts. Not accustomed to encountering books about their town's comparatively obscure role in the Civil War, the latter will likely find Cale's study to be an eye opening one. My list of most anticipated June - August releases is so far shaping up to be pretty thin. September, on the other hand, has a number of seheduled titles I am looking forward to with relish. Edward McCaul's To Retain Command of the Mississippi: The Civil War Naval Campaign for Memphis (UT Press, 9/28) is one of these. The author did fine work with his earlier technical treatise on artillery fuses and this one is similarly out of the mainstream. It will be the first book length treatment of the Battle of Memphis, in which the Union's brown water navy learned quickly from its rough handling at Plum Point Bend to inflict a severe defeat upon the Confederate River Defense Fleet at Memphis. I was hoping to see the second Trans-Mississippi volume from the Confederate Generals in the West Theater series in the same catalog but its time is yet to come. Though the marketing people at Southern Illinois University Press trumpeted Michael Ballard's Grant at Vicksburg: The General and the Siege as "the first in-depth exploration of Grant’s thoughts and actions during this critical operation [the siege part of the campaign]", the book was really more of a thematically scattershot collection of essays associated with the subject. The siege has not been treated in any significant amount of detail since the Bearss trilogy, so those looking for a book solely devoted to it will have to look to the future. Fortunately, the same publisher may be offering just that with Justin Solonick's Engineering Victory: The Union Siege of Vicksburg (SIUP, April '15). For a release date that far ahead, we might have to wait a while for more information to emerge.